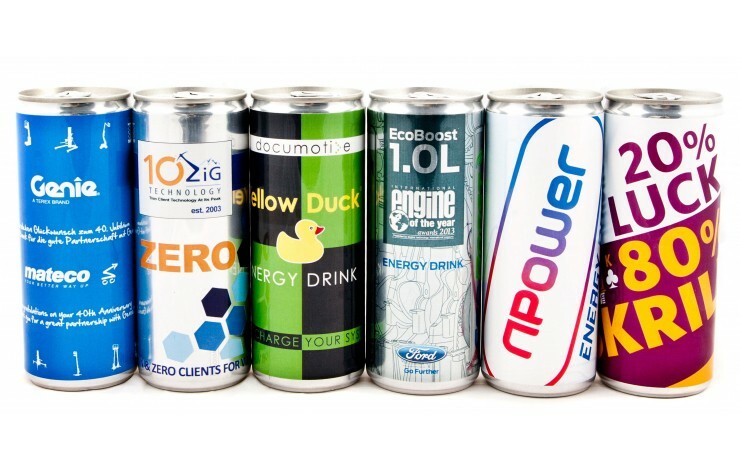 Refresh your promotion with our branded Canned Energy Drinks. Each can contains 250ml of energy drink with a light stimulating effect to increase performance levels supplied in a recyclable aluminium can. Custom printed with your logo in full colour as standard so there are no limits on the number of colours that can be achieved. Note: Setup is charged at £47.50.